Portland shuts out league-leading Chicago and proves it's the best team in the league. The Portland Thorns beat the league-leading Chicago Red Stars 2-0 in a command performance on all areas of the pitch Wednesday night at Providence Park. The Thorns are indisputably the best in the league. 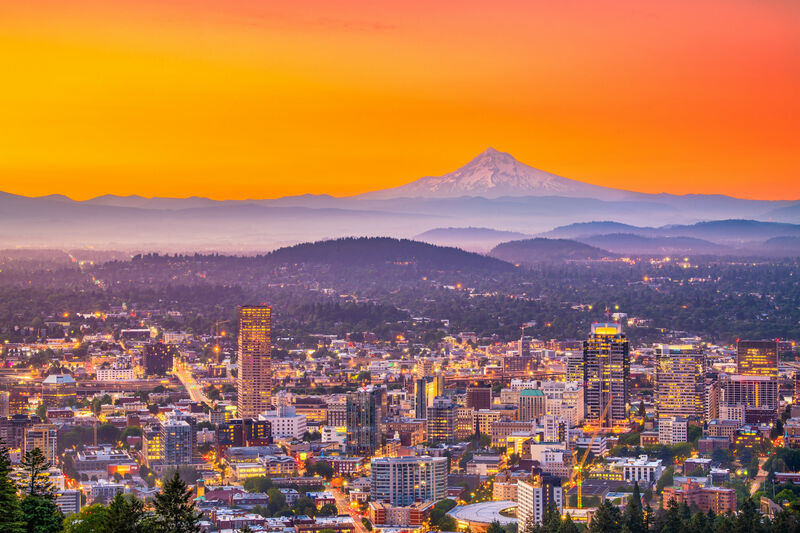 If anyone had lingering doubts about whether Portland was the best in the NWSL, this week's performance put them to rest. For the third game in a row, the Thorns played a league-leading opponent, and for the third game in a row, they were hands-down the better team. From end to end, the Thorns outplayed Chicago. On defense, the Emilies (indomitable center backs Menges and Sonnett) were rock-solid, while Meghan Klingenberg and Katherine Reynolds provided ball-winning and counter-attacking strength out wide. Up high, captain Christine Sinclair continued to impress, notching her third goal in three games, and Nadia Nadim played the best she has all season. The midfield continued to look like the force of nature they are. 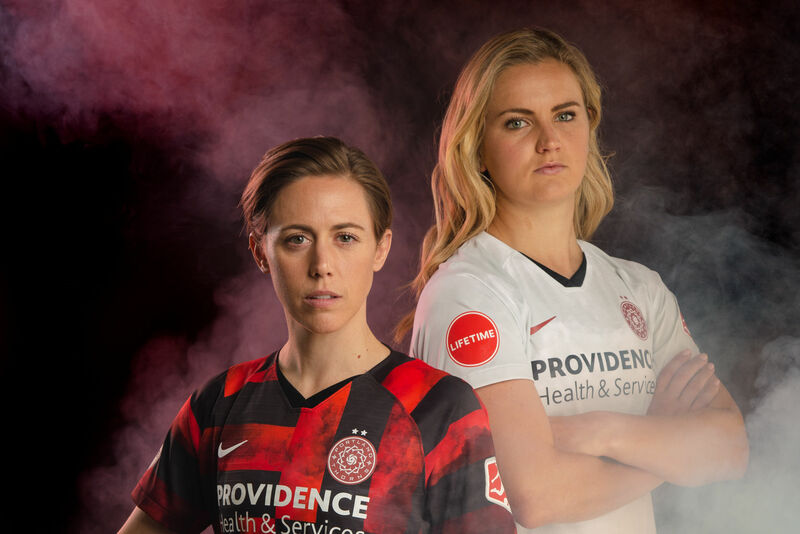 While it wasn’t the kind of high-flying sweep as their home game against Washington in May, the Thorns quickly got the upper hand and maintained it throughout the game. In the 6th minute, Nadim and Sinclair zigzagged into the box with a pair of one-two passes. When the ball landed at defender Julie Johnston’s feet, she took a hard touch, and Sinc coolly scooped it back up for a goal. The Thorns’ second goal came off a corner kick in the 25th minute. Tobin Heath played the ball just outside the six-yard box and Amandine Henry leapt to get her head on it. The ball also touched Nadim’s head before going in, but Henry almost certainly would have tallied the goal regardless. The Red Stars are a quality team, and they didn’t play a bad game. They just looked outmatched. Aside from a couple of nail-biters early on (one deflected by Providence Park’s now infamous north end goalpost), and one on a set piece in the second half, none of Chicago’s chances looked particularly convincing. 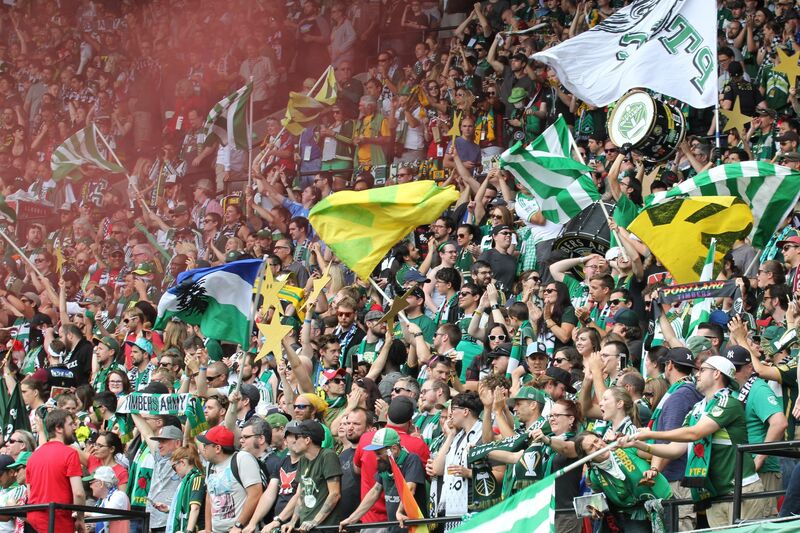 By stoppage time, Portland was all but toying with a disheartened Chicago. This sequence, from Lindsey Horan’s ice-cold backward pass, to the cheeky game of keep-away she and Tobin Heath play against a trio of Chicago defenders, went nowhere, but it has to put a smile on your face. Amandine Henry is a monster, it turns out. 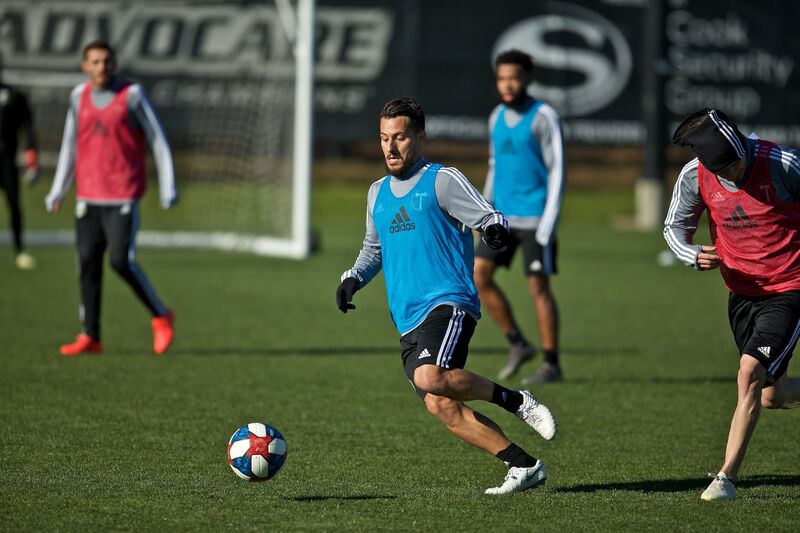 Beyond linking up well with Portland’s forwards, Henry “does the horrible stuff,” said head coach Mark Parsons, using one of his favorite phrases. After the game, Henry noted, as many Europeans do, that NWSL play is more physical and athletic than she’s accustomed to—but she obviously has no trouble keeping up. At one point, she stole the ball right out from under Christen Press’s feet in the penalty box. Press has been one of the best players in the league this season, and Henry made her look like a hapless kid. This is a player who’s going to make an impact. The Riveters did their best work of the season. Ahead of the match, the Rose City Riveters unveiled a tifo featuring a moving double entendre: two huge rainbow flags flanking a banner reading “undefeated.” It’s both a reference, of course, to Portland’s (still) unbeaten record, and a Pride-week tribute to the resiliency of the LGBT community in the wake of the latest episode in a long history of oppression and violence. Sports can be a focal point for violence and xenophobia, as we’ve been reminded by English and Russian fans at the European championship in France. The Riveters’ work was a nice reminder, though, that at their best, though, sports are a source of togetherness, joy, and healing. 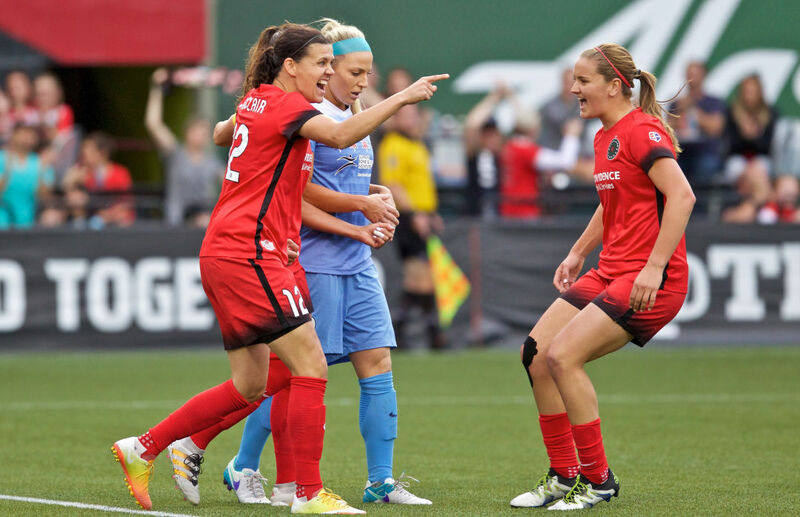 The Thorns play the Orlando Pride on the road at 2 p.m. Sunday, June 26. Their next home game is July 2 at 7:30 p.m. against Sky Blue FC.